Assalamualaikum and salam Ramadhan ladies! :) Today I'm going to answer 2 of the most FAQ from all you lovely ladies out there! 1. What contact lenses do I wear? 2. 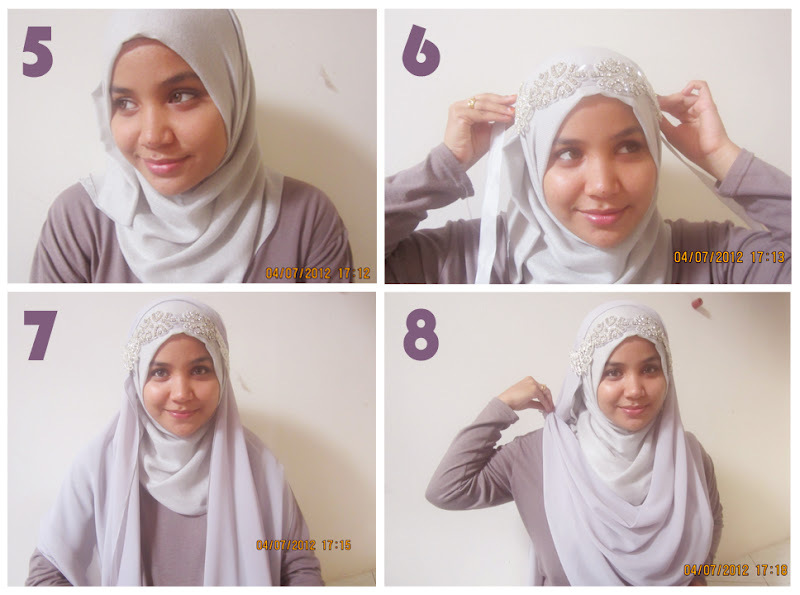 How did I do my DIY bridal hijab? # 1: I wear FreshLook contact lenses in Pure Hazel colour because it's the only contact lenses that look natural to me, no? # 2 : Bridal Hijab Tutorial Alert! First I thought I'd do a video but then I figured this would be much more easier since I was kinda in a hurry and mr.hubs was waiting for me to go to the Ramadhan Bazaar! Step #1 : Fold about 1/3 of your pashmina. 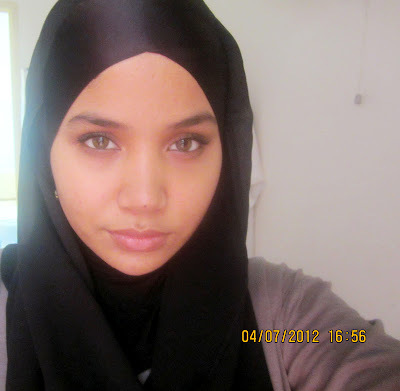 Step #2 : Place the pashmina on your head with one side longer than the other. Make sure the folded side is inside. Step #3 : Simply pin your pashmina together with a small brooch. Step #4 : Wrap the longer part of the pashmina around your head and secure the end with a stick pin a.k.a jarum peniti. 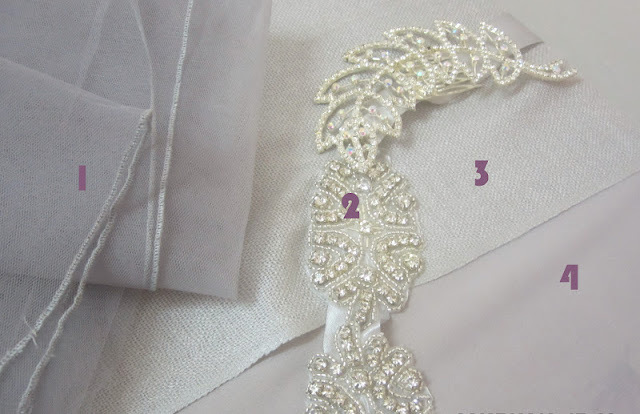 Step #5 : Tuck the shorter part neatly inside with another small brooch to get look #5. Step #6 : Place the headpiece slightly above the tip of your forehead and tie neatly. 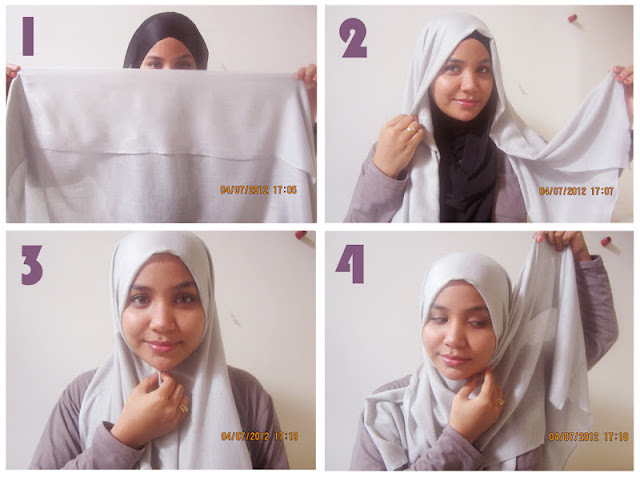 Step #7 : Take the chiffon scarf and place it on your head with both sides at equal length. Adjust accordingly so that it covers the back part of the headpiece. Once it's in place, secure with stick pins. Step #8 : Neatly drape the half-moon part of the scarf and secure on shoulder with a brooch. 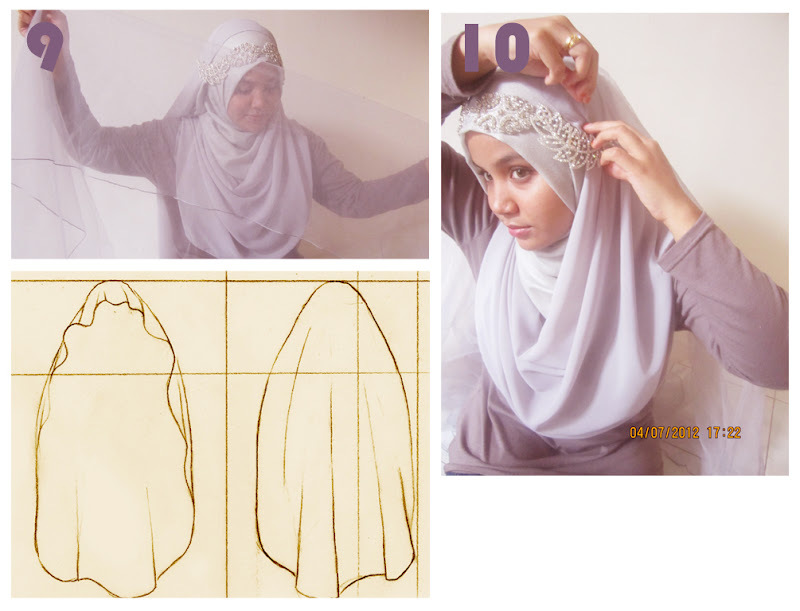 You can either leave the back part hanging as part of the veil or you can just tidy it up and pin at the back. Step #10 : Finally, just secure the veil with stick pins on both sides and you're done! i want to have the headpiece tooooo!!! Its beautiful..i would like to use the net veil for my solemnization..how long should i buy ? thank aishah!! You are so pretty Maa Sha Allah! Very nice blog, I enjoyed reading your articles.. If you like follow & share your thoughts please. Just came across your blog now and have to say MASHALLAH you made a lovely bride,sister.. I got my gowns more than 3 weeks before expected delivery time. This particular gown is so lovely and what I got is exactly as shown on the picture online and material is high quality.